Falz is a Nigerian rapper who has won the heart of many Nigerians with his music and comedy skits. The 26-year-old Nigerian law school graduate began his music career in 2009 but shot into lime light after the release of his hit single "Ello bae"
The rapper has many collaborated tracks with the vocalist and singer Simi and it was said that the two were in a relationship because of their chemistry. However it seems the relationship went sour and it was obvious when he gave her silent treatment at the Headies award show. According to online reports, Falz who appears to have moved on was recently seen at Funke Akindele's house warming party with his new girlfriend. 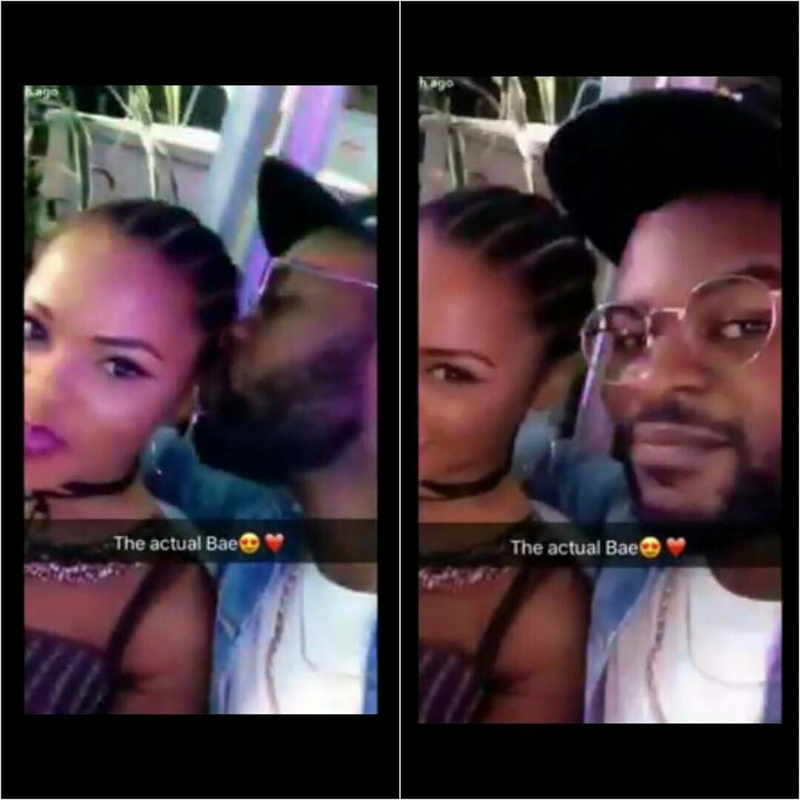 To prove their relationship, he uploaded a video on his snap featuring Project fame winner Chidinma Ekile. He captioned the video "the actual bae" meaning the real girlfriend and pecked the singer passionately on her head. Chidinma smiled softly to her boyfriend. Congrats to both of them.